Banana bread is best baked in a loaf pan. 2 Can Crescent Rolls Expire? 4 Does Light Affect How Long Bread Will Keep? Banana bread baked in a canning jar makes an attractive gift. The problem with bread in a jar is that even if it is sealed, it isn't truly "canned." The moist, airtight environment inside a sealed jar is a perfect place for growing botulism toxins, making the gift a potential health hazard. Instead of sealing the jar, bake the bread in the jar but don't seal it. Banana bread in a jar is one of several kinds of bread in a jar. Other common variations on the theme are pumpkin, apple, zucchini and date bread. Recipes tend to surface around Christmas. The bread, decorated with appropriate ribbons and holiday fabric, is a popular Christmas present. When baked in a well-greased, wide-mouthed jar, the bread slides out easily and slices into dainty rounds or rounded squares, depending on the shape of the jar. A typical, but dangerous, way make canned banana bread is to seal it in the canning jar. The typical canned-bread recipe uses a standard banana-bread recipe, but bakes it in a well-greased pint canning jar. When the bread comes out of the oven, a canning lid is set over the mouth of the jar. The cooling process seals the lid against the mouth of the jar. According to these canned-bread recipes, when the lid seals, the bread is "canned" and will last for up to a year at room temperature. These recipes, however, are wrong. Sealing the lid of the jar in this way is dangerous. The problem with canned bread is the botulism toxin. Botulism thrives in a damp, low-oxygen environment. The environment inside the canned-bread jar is just such an environment. The bread also has a pH of around 7.2. Foods with a pH of 4.6 or higher are considered low-acid foods. They cannot be canned safely without a pressure canner, which would probably destroy the quality of the bread. Research at Kansas State University showed that harmful microorganisms survived the canned-bread baking process and multiplied when the bread was held in the jar. Canned banana bread is, consequently, a food-safety risk. The solution to the canned-bread risk is to avoid sealing the lid. Cool the bread completely before putting the lid on the jar. The jar, then, is merely a novelty. The bread, like any other banana bread, will not keep at room temperature for more than a day or two. If you wish to keep it longer, refrigerate the bread, and don't keep it for more than a few weeks. 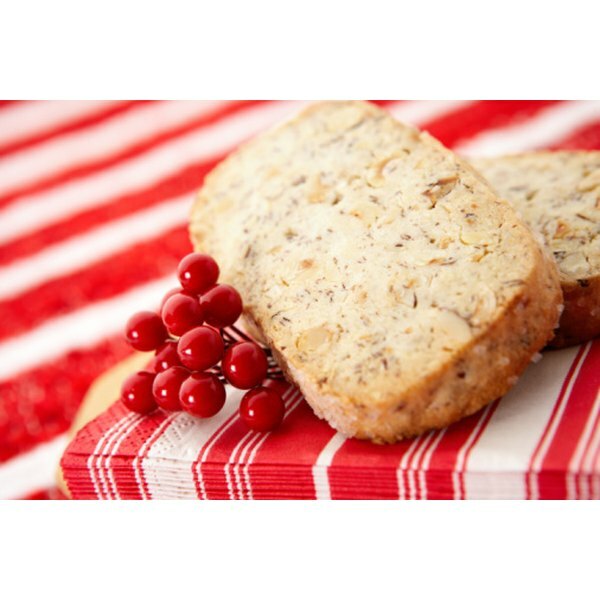 If you are giving the bread as a gift, make sure the recipient knows that the bread is not canned and must be treated as fresh banana bread. Better yet, make your bread in a mini-loaf pan, wrap it in foil, and add a gift bow. Doing so avoids potentially costly misunderstandings. University of Georgia Cooperative Extension: Canning Breads and Cakes?